We clean carpets in houses and apartments. Maintain the image of your business, church or hotel. Restore tile and grout to its original condition. Professional upholstery, rug, and anti-allergy cleaning. 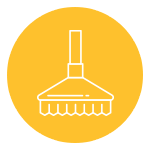 For more than 17 years, Monster Clean has been making Hampton Roads homes and businesses happier; one carpet at a time. 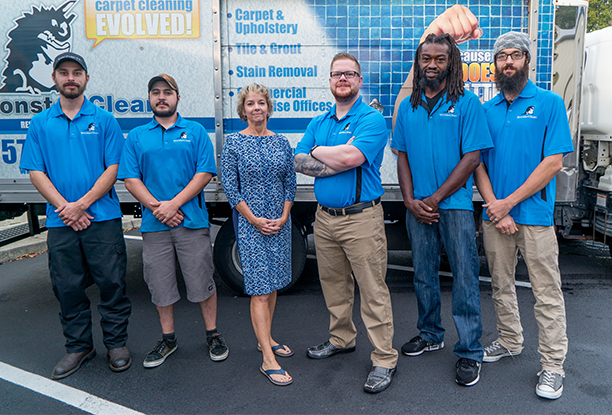 Established on principles of honest pricing, exceptional customer service, and top-quality work, Monster Clean has become a widely known and respected leader in the commercial and residential carpet cleaning Virginia Beach. 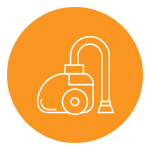 Monster Clean has steadily outranked large corporate competitors in the market through unwavering dedication to our customers’ needs. Monster Clean is an IICRC “CleanTrust” certified firm. 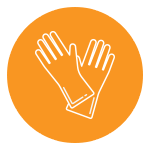 The IICRC sets the standards for all cleaning professionals in the United States. We are trained to clean your carpets in accordance with the IICRC S100 Standard and Reference Guide for Professional Residential and Commercial carpet cleaning Norfolk VA, Chesapeake VA, and carpet cleaning Virginia Beach. We only use techniques and cleaning solutions approved for use on your particular carpets. Effective carpet cleaning requires the use of powerful equipment. Our massive truck mounted carpet cleaning equipment is the largest and most powerful at work anywhere in the state of Virginia. Monster Clean is the most trusted company for truck mounted carpet cleaning Chesapeake VA, and home services in all of Hampton Roads. Monster Clean has won Virginia Pilot “Best-of” awards for carpet cleaning services for the last five years. Since 2008, we have also been Angie’s List Super Service Award recipients. We set the standard for service and cleaning companies, and we look forward to being Your Team of Trusted Experts. Monster Clean’s team of reliable experts will extend the life of your carpets, help maintain a healthy home environment, and provide that refreshing feeling that a neatly cleaned carpet can offer. Most carpet manufacturers recommend the “truck-mounted hot water extraction” method of cleaning over all other methods. Truck-mounted carpet cleaning Virginia Beach is much faster than portable equipment, the extra heat will dissolve more spots and stains, and the added vacuum suction power will reduce drying times. Monster Clean deploys two powerful “monster” sized truck mounted carpet cleaning plants, employs the most experienced technicians, and provides the best service experience imaginable. We listen to the concerns of our customers, educate our customers, offer the best solutions and treatment plans, and provide follow up care and maintenance plans. Monster Clean is also fully licensed and insured. We will take of your home with the utmost care. Monster Clean is proud to offer top-rated commercial janitorial cleaning and restaurant cleaning services in Virginia Beach, Norfolk, Chesapeake and Portsmouth. Whether you are interested in Monster Clean’s commercial cleaning services as an effective compliment to your carpet cleaning Virginia Beach, or alone as routine care, we are dedicated to providing the most professional work in the industry. We provide expert commercial cleaning services using 100% biodegradable, non-toxic, non-hazardous and non-polluting Green Seal Certified solutions, which are safe for the environment and your health. We practice a variety of green cleaning methods that eliminate a greater percentage of dirt and bacteria. Experience our professionalism for yourself, and let us design a cleaning package that fits your budget.